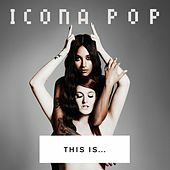 Icona Pop blasted almost out of nowhere with "I Love It," a delightful slice of brat-tastic dance-pop. And now the Swedish duo has released a hotly anticipated international introduction that sounds ... not much like it. 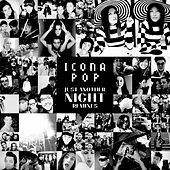 This is a pleasant collection of dance-pop speckled with gleaming beats and vocals as shiny and smooth as a hair commercial. But with a couple exceptions (like the dark, attitudinal "Ready for the Weekend"), it's a little too pleasant. Range and depth are important (this album makes clear they are comfortable with brighter corners of dance-pop), but we miss the brat attack.